Add a subtle shade to your space with Farso. In muted teal, it's a risk-free way to add colour that you'll love even when your tastes change. Farso's 100% cotton, with a flatweave design – making it both natural and durable. 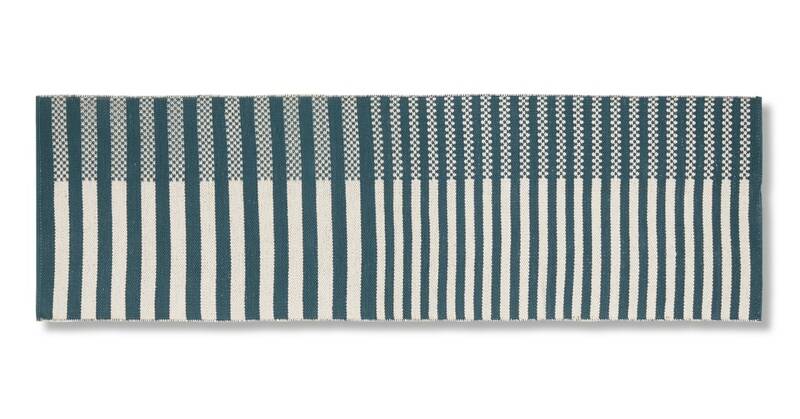 Its striped design is a pleasant pattern – different enough to stand out, without being too busy. Perfect for livening up your hallway.